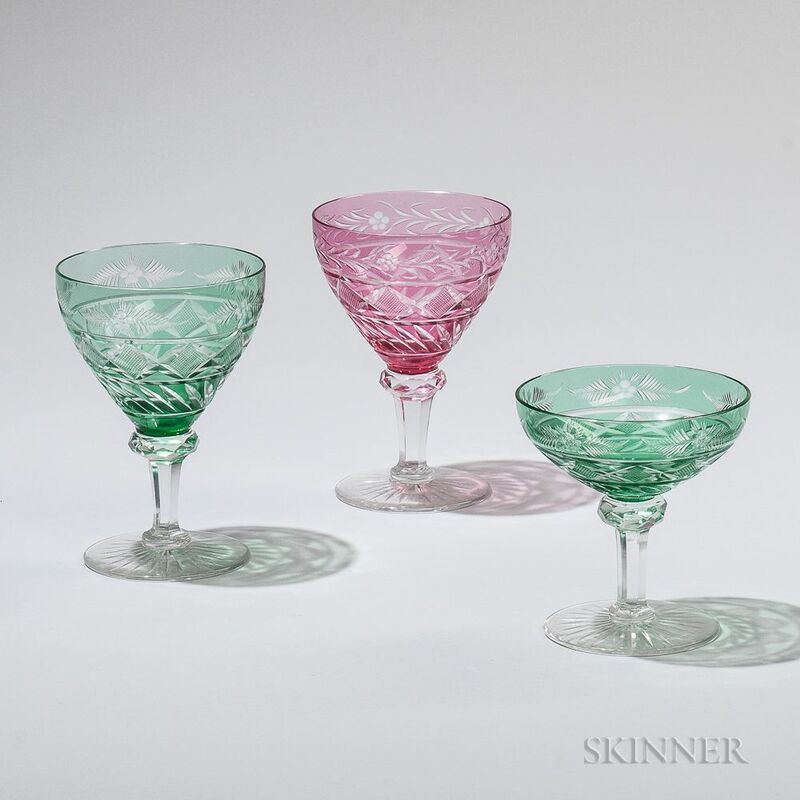 Thirty-two Pieces of Flash Cut to Clear Stemware, Bohemia, early 20th century, twenty pieces of green: twelve ht. 4 1/2, eight ht. 5 7/8; and twelve ruby, ht. 5 7/8 in.